The FLAG Art Foundation is presenting Changing Subjects, an exhibition featuring the works of artistic duo Michael Elmgreen and Ingar Dragset. The show presents new and old works by the Danish artists who work on issues such as identity, sexuality and mortality. Since 1995, artists Elmgreen & Dragset have been working collaboratively creating art that mingles architecture and design. For Changing Subjects the works on display range from 1998 to 2016 and guide the visitors through numerous interpretations of the noun ‘subject’. 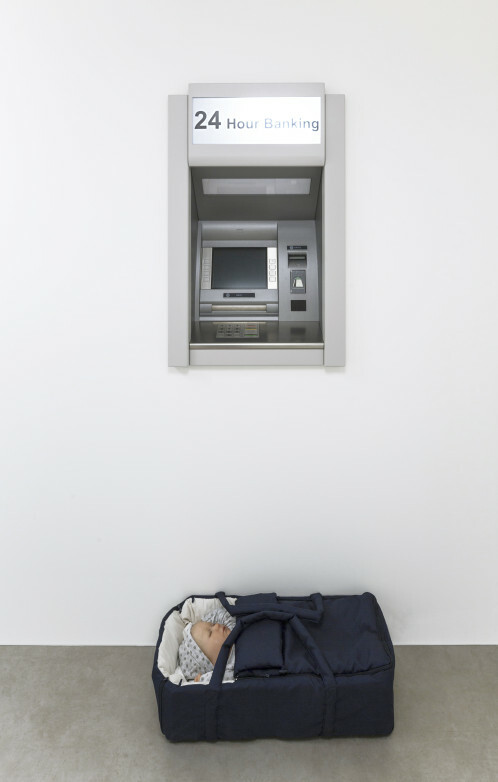 In order to illustrate that title, ’Modern Moses’ – a sleeping wax baby figure in front of an ATM Machine – and ‘The Experiment’ – a sculpture from 2011 that depicts a little boy standing in front of a mirror wearing ladies’ heels and make up – are some of the works on view. 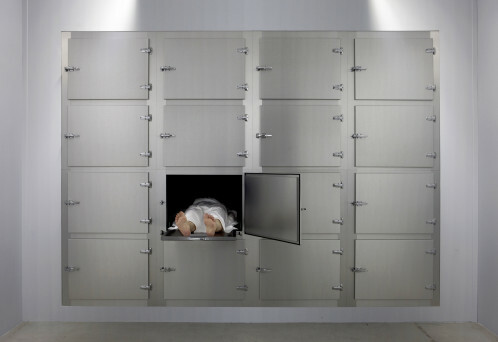 Always super realistic and life-sized, the sculptures of Elmgreen and Dragset call out to the viewer and create a questioning about the current social values and social systems.